Vmnat.exe provides NAT services to virtual machines running in VMware Workstation. I don’t know why, but I have experienced high CPU loads of this process on Windows 7 Professional and Ultimate x64 SP0 and SP1 versions with VMware Workstation 7 and 8. I finally know how to fix it. Close all VM’s and VMware Workstation. 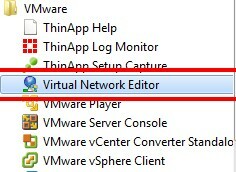 Start the Virtual Network Editor from your start menu. Now press the Restore Default button. VMware will reset all virtual interfaces. 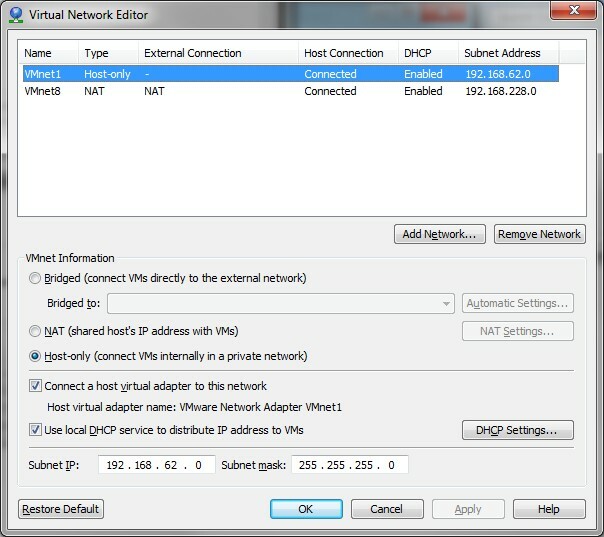 I ended up with a Host-only network type VMNet1 and a NAT network type VMNet8. I reckon this will be the same for you. 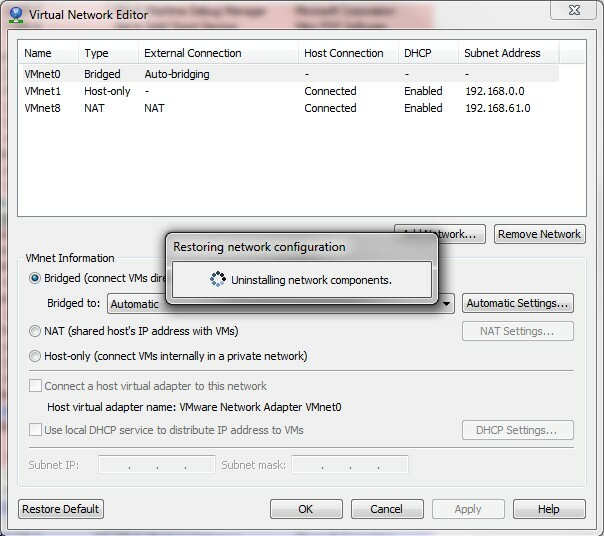 Don’t forget to check the VM’s that need to use a NAT network connection.